Sure, the Beastie Boys are consummate New Yorkers who were shouting out Brooklyn when Grizzly Bear were still cubs, but some of their most creatively fertile time was spent way out west. Here, we root down at some of the group’s favorite Check Your Head–era spots. 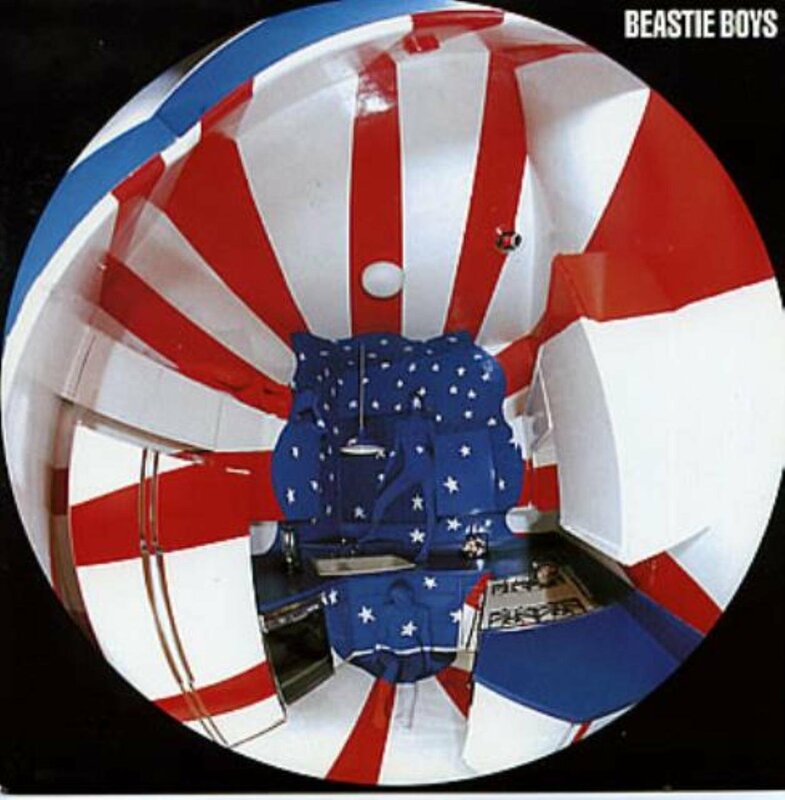 Its kitchen artwork would grace the cover of the Beasties’ Love American Style EP, but there was much more to Ad-Rock’s Hollywood and Stanley apartment than just American-flag paint and hidden naked women. The early Check Your Head jam sessions held there were basically the first time any of the band members had regularly played their instruments in years—a fact everyone in the neighborhood was well aware of. After Ad-Rock’s apartment sessions, the band (wisely) decamped to Cole Rehearsal Studios, a sparse space on Cole Ave. off of Santa Monica Blvd. Later, that space would go on to host Rage Against the Machine, who turned it into a makeshift studio while making Evil Empire. The Beasties moved to their self-built G-Son Studios after realizing that, yes, they could—and probably should—get a professional recording space. On Glendale Blvd. in Atwater Village, the studio also doubled as a photo-shoot location and all-around clubhouse, complete with basketball court and half-pipe. After Check Your Head, they’d record parts of Ill Communication and Hello Nasty at G-Son before the building was sold in 2006. Located near Ad-Rock’s old apartment, the Moroccan restaurant was the Beastie Boys’ grub spot of choice. Sadly, those looking to nosh on the same hummus and couscous as the group are out of luck—the restaurant closed in 2012 after thirty-nine years. Its replacement, the Mediterranean eatery Acabar, barely made it past the year mark before shuttering as well. No word yet on what the building’s ornamental arch and imposing white stucco walls will host next. Yes, that Netty’s. Apparently, the Mike D–crooned ballad “Netty’s Girl” was penned in honor of the owner’s daughter, who one of the Beasties had a crush on—hence their frequent and enthusiastic patronage of the Silver Lake grill. The restaurant’s motto was “Serving Silver Lake before it was hip.” Unfortunately, they closed up shop in 2006. A cookbook featuring Netty’s classics—including chocolate almond bread pudding, drunken shrimp in spicy beer butter, pork tenderloin, and warm seafood salad with sea scallops, shrimp, toasted almonds, and orange wedges—has yet to materialize. The band’s regular spot during the recording of Check Your Head. (Its location in Atwater right across the street from the studio helped.) The star treatment was non-existent at the cheap Italian eatery: The biggest perk they ever got as regulars was free garlic bread. Yet another entry in the long line of the Beastie Boys’ favorite restaurants that were claimed by gentrification. The Beastie Boys are noted basketball fans. (See: their 1994 Lollapalooza pop-up court and Yauch’s 2008 foray into documentary, Gunnin’ for That #1 Spot.) But their court of choice during the CYH era was at the Wonderland Avenue Elementary School in the Hollywood Hills, where they were frequently joined by Flea.